Despite the broad assumption that gender equality has been achieved in the United States, the past several years have brought little improvement to the economic challenges that low-income women face in the United States. They, and their children, continue to disproportionately live in poverty. With lower education, training, and work experience paired with their responsibilities as primary caregivers, low-income women persistently face significant challenges as they pursue employment. Once hired, they are still more likely to be in low-paying jobs without benefits, workforce mentors, opportunities for advancement, or access to on-the-job training. Furthermore, they are more likely to be victims of domestic violence, abuse, and harassment. However, the work toward true gender equity has stalled in recent years because many Americans believe that women no longer face systemic discrimination and have gained equal status over the last few decades. Women's funds are working to change this. Women's funds are public foundations that bring together and leverage resources to invest in women and girls. In each local community and together, nationally, they work to increase the economic security of women and girls, and the community. They have long recognized the power of philanthropy as a way to mobilize resources and develop solutions with a gender lens. Understanding that investing in women strengthens families and revitalizes communities, they spotlight issues affecting women, develop innovative strategies, and support dynamic and effective organizations to overcome the challenges to economic security specific to women and girls. Yet there remains much to be done. 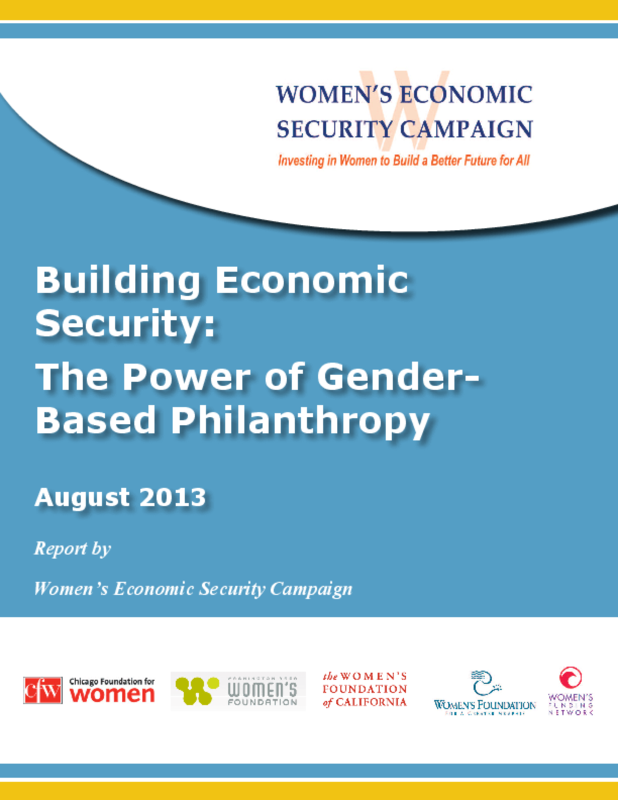 Copyright 2013 Women's Economic Security Campaign.